Our family was set for the long haul to Yelapa, Mexico from McMinnville, OR for vacation. We had just purchased a Trooper the week before. At the end of our first day of travel, we arrived in Orange County, CA where we planned to stay the night. I looked down and saw that the “Check Trans” light came on, flashing in red. The next morning, once again the light came on and the transmission started slipping like a buttered cat on ice. 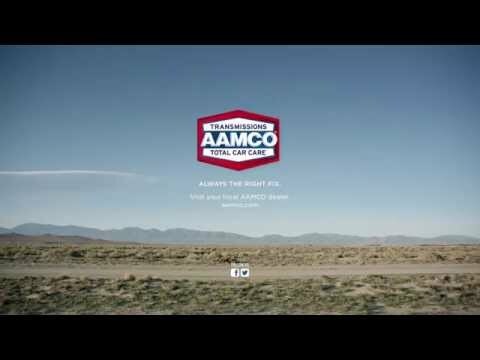 I googled “transmission shops in Santa Ana CA” from my phone and found the local AAMCO. This is where Mr. Anthony Monks came into our lives. He asked me for the dealership’s phone number and stepped into his office. After about 10 minutes, he emerged with a smile. “I think we have a solution for you. They agreed to pay for the rebuild, if you can make payments. We will start right away and will have you back on the road by Monday.” Good news! But we need to be in Mexico by Monday, as our contact with the owner of the house was very limited and he could only be reached by a third party via email. Still, good news, nonetheless. Anthony says to us, “Now, next order of the day is getting your family safely to Mexico and enjoying your vacation. I would love to drive you there, but my British passport and the Mexican government will not allow it. So, let’s figure out how to get you on your way, today.” This man, we never met until 2 hours previously wants to take us himself! After some research and discussion, we decide the most cost effective and safest option is to take a first class bus from Tijuana to Puerto Vallarta. Cheaper than the gas we would have spent driving AND I don’t have to drive? Great! But we were still 120 miles from the border. “Let me finish repairing my truck and we will be on our way.” Anthony says. He is going to drive us all the way to Tijuana! Moments later, he drives around the building in a fully endowed H2 Hummer with sirens and lights flashing with a PA system. He also works with law enforcement. “Powell family, your taxi to Mexico has arrived!” he shouts over the sirens into the loud speaker. Awesome! What could we possibly do to repay this man for his kindness and big heart? Pay for his gas? He would not have it. Buy him dinner? No, thank you. “Just give my shop a good review online and consider us even.” he says. WOW. Done. We even stopped for gas and when we were not looking, he hands the kids money and says, “It’s a long ride, let’s get some snacks!” Who does that? Mr. Anthony Monks does. A true British gentleman in every sense of the word. So we are on our way again. We arrive in Tijuana and with many, many thanks and big hugs all around for our new best friend. We arrived back in Tijuana around 2 AM. We were to then take a Greyhound bus from Tijuana to Santa Ana, CA where our new best friend Anthony would be waiting to pick us up with our newly repaired car. Because of our misjudging the time it would take to travel on the bus, we were about a day later than expected. Because our phone plan doesn’t cover service in Mexico, we were unable to contact Anthony to let him know we would be about 16 hours late. Once we had service I checked my voicemail and this poor man had waited all day and partially the night at the bus station waiting for us. He even called other contacts we had given him trying to find us! This poor guy was so worried about us. When he pulled up in our newly repaired Trooper, he greeted us with hugs and told us how much he missed us. Back at the shop, we finalized the paperwork to get us going and gave Anthony a token of our appreciation: a beautifully hand carved rosewood shark. He loved it and was moved to tears at this gift. He said he would never forget us and when he is in Oregon, we would get together for dinner. With big hugs we said goodbye to our friend and guardian Anthony. A couple times, during our drive home our friend Anthony called to check on us and make sure we were safe. What a guy!